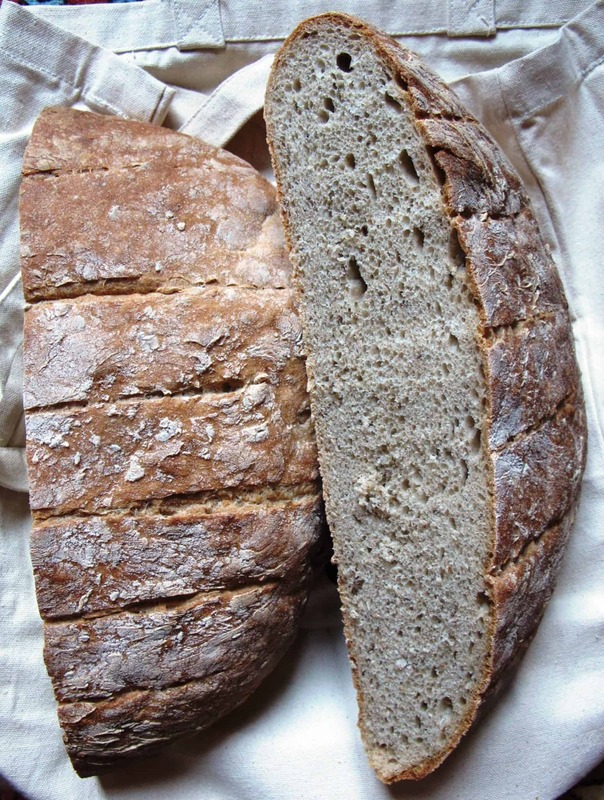 Just a quick post to share the recipe for light rye bread (also referred to as Jewish-style rye bread) I baked at the weekend. This light but fragrant rye bread was perfect for the delicious salt beef sandwiches we served at my friend Mariel’s baby shower. 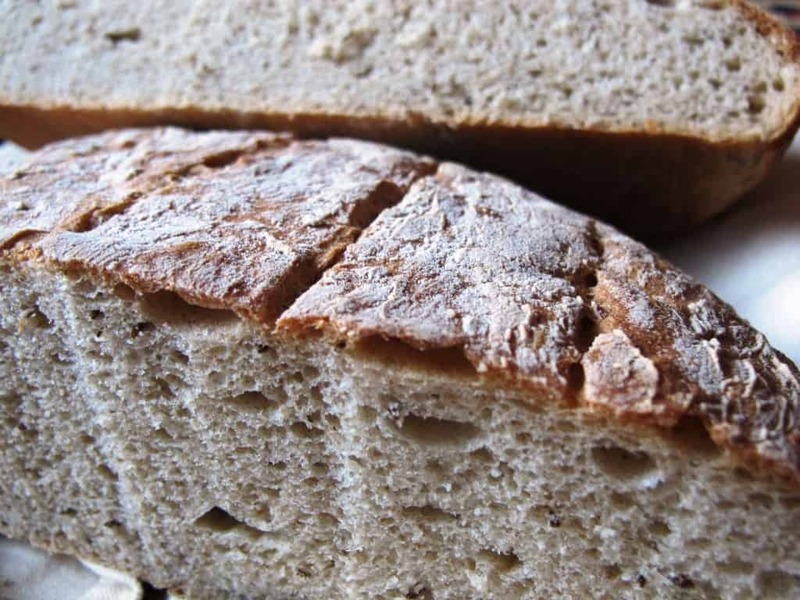 Light rye bread is made with white high-gluten wheat flour and rye flour. There are a lot of different recipes out there using anything between 15% and 50% rye flour, but I found that 25% gives enough rye flavour and colour to the bread without making it too heavy. 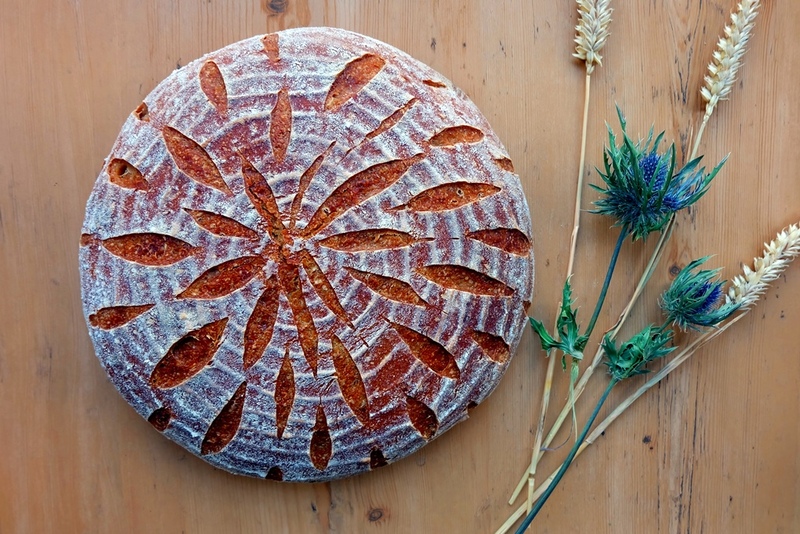 Whole caraway seeds worked into the dough give this Jewish-style rye bread its unique flavour. Combine the sourdough starter with the dark rye flour and 100g of water in a small covered bowl. Leave to ripen for 14 – 16 hours. Combine the sourdough with the remaining ingredients (the wheat and light rye flours, 600g water, seeds, salt, yeast). Knead for at least 10 minutes until you have a soft, elastic dough. Shape the dough into a ball, cover with flour and place in a clean, lightly floured bowl. Cover the bowl and keep the dough at room temperature for approx. 2 hours. Divide the dough into two equal parts (I use a dough scraper for this). Shape the two parts into rounds or oblongs and place them on a baking tray lined with parchment paper. Cover with a tea towel and prove for another 1.5 hours. Just before baking score the bread by making a single lengthwise incision or a few diagonal cuts. Bake at 240°C for 15 minutes then lower the temperature to 225°C and bake for another 20 –25 minutes.